Molybdenum news introduces some latest news of molybdenum products and molybdenum industry. Recently, the University Southampton Optoelectronics Research Center successfully developed a new material- molybdenum disulfide (MoS2) which can replace graphene. As we known, graphene has excellent properties such as low resistance, high thermal conductivity, and high strength and so on. Besides, it is very thin, which is almost transparent, and very dense, so often used as raw material of transparent electronic products, such as touch display screen, light panels and solar panels. It is one kind of superior performance new nanomaterials. In order to promote the molybdenum market, Chinese domestic nine large-scale molybdenum mine enterprise recently issued a joint proposal, decided on the basis of reduced 9.18% molybdenum concentrate production in 2015, in 2016 continues to cut the production by 10%, and encouraged other molybdenum enterprises to actively participate national reserves of molybdenum products, reducing sales, so that molybdenum concentrate is short supply in market and the raw material price will increase. According to related news, in molybdenum raw material, international molybdenum raw material price continues to rise. China's domestic molybdenum concentrate is short in supply, which is difficult to purchase. 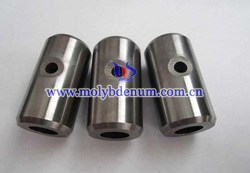 Besides, many major molybdenum enterprises hold the high offer of raw material. Supported by these factors, resulting in molybdenum concentrate price firms up, but the actual transactions is limited, because many manufactures still hold see and wait attitude. Silicon is the most commonly used semiconductor materials. But it has two drawbacks: firstly, when the silicon coating tends to thin, its electrical property will decline; secondly, its indirect bandgap makes it difficult to apply in photovoltaic projects, which greatly limit silicon application. Therefore, many scientists are looking for new semiconductor materials. Molybdenum ditelluride is a new type semiconductor material developed by a research team of Japanese and Korean.